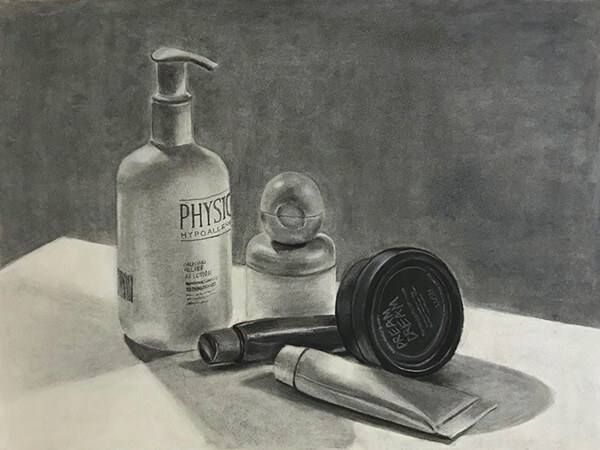 The two drawings below are extended (2-week) still life drawings, completed as the final projects for my Freshman Drawing class. 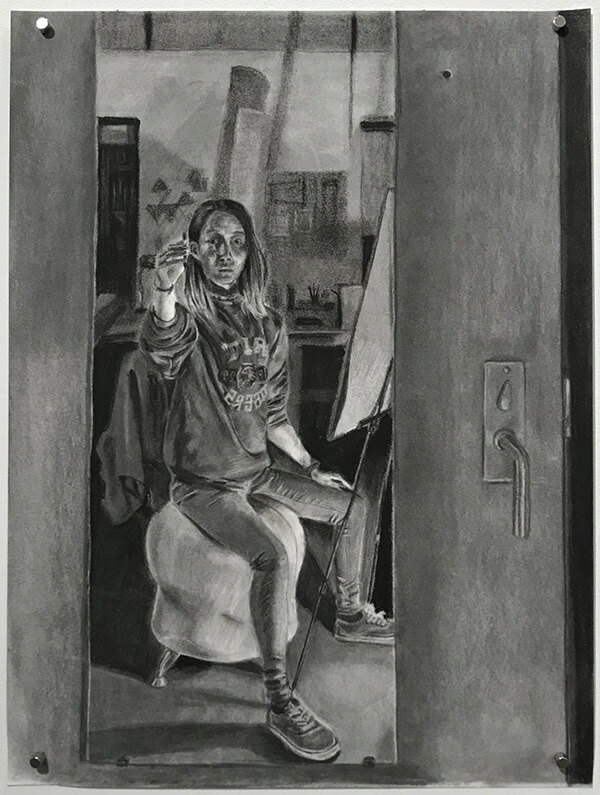 The drawing below was done for my Freshman 2D Design class. 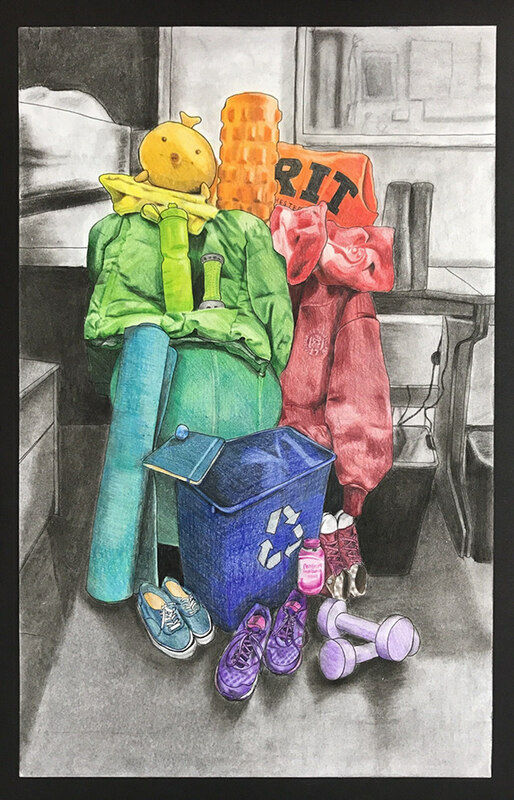 It explores color relationships while simultaneously presenting the identity I assumed at the time, through the portrayal of key objects in my life. 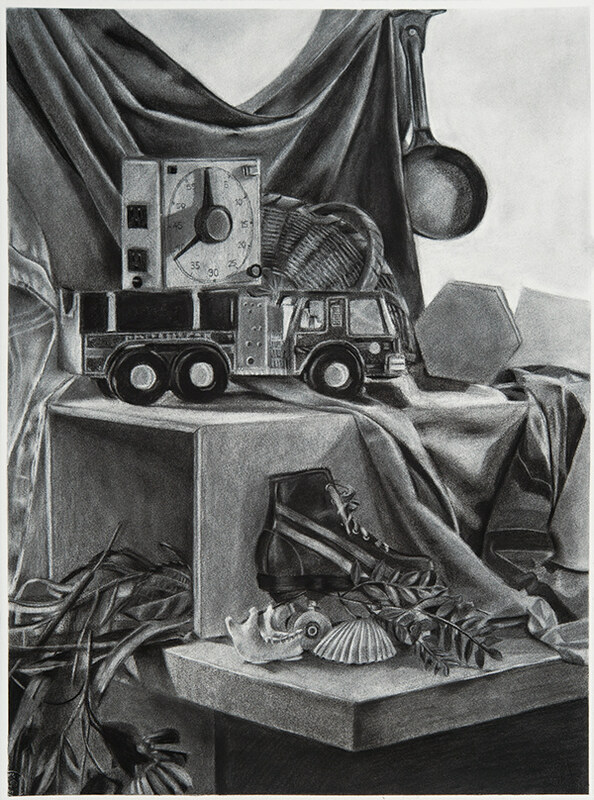 The following drawings were also done for my Freshman Drawing class. They explore light, texture, form, and the figure. 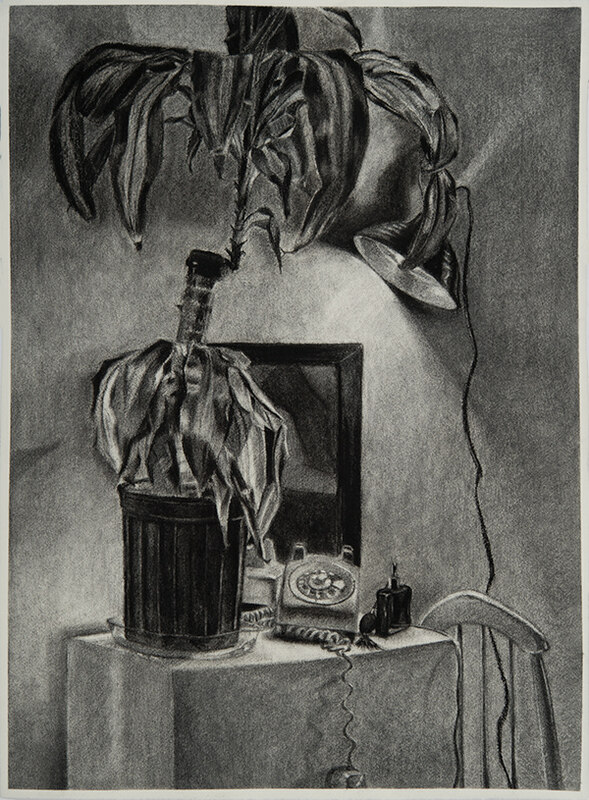 A collection of foundational drawings and explorations of light, texture, color, figure and form.